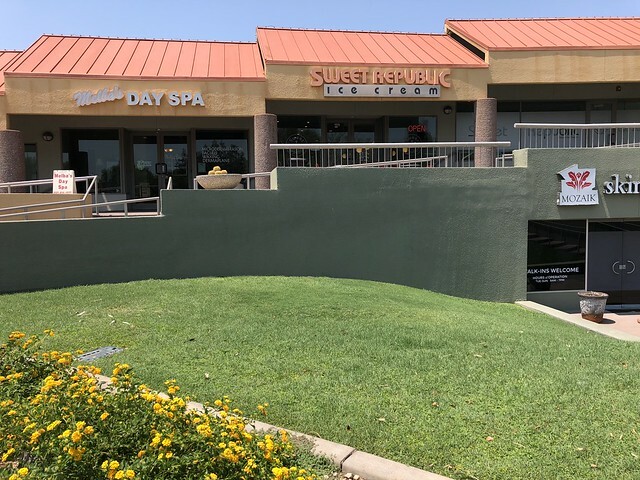 I first heard of Sweet Republic when Alton Brown named a dish there his favorite sweet he's ever eaten. That's big praise. 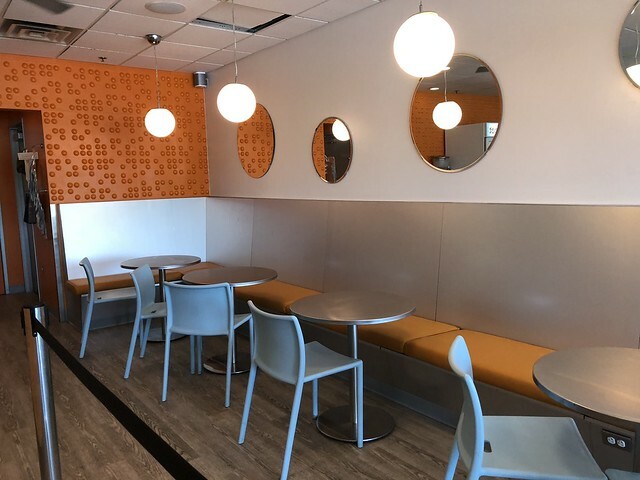 The ice cream shop has these funky orange circles all over and about a dozen different artisan ice cream flavors. 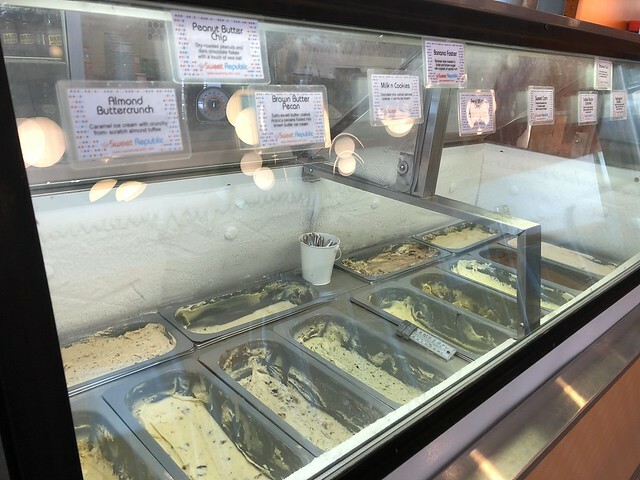 But what I really wanted was one of their specialties: The toffee banofi sundae. 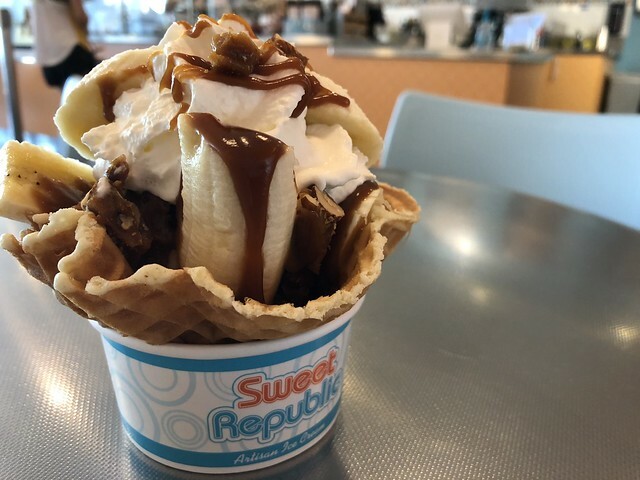 Sweet Republic's toffee banofi sundae features two scoops of Madagascar vanilla ice cream, slices of ripe banana, hand-stirred caramel sauce, fresh whipped cream, another light drizzle of caramel, and a sprinkling of almond toffee.